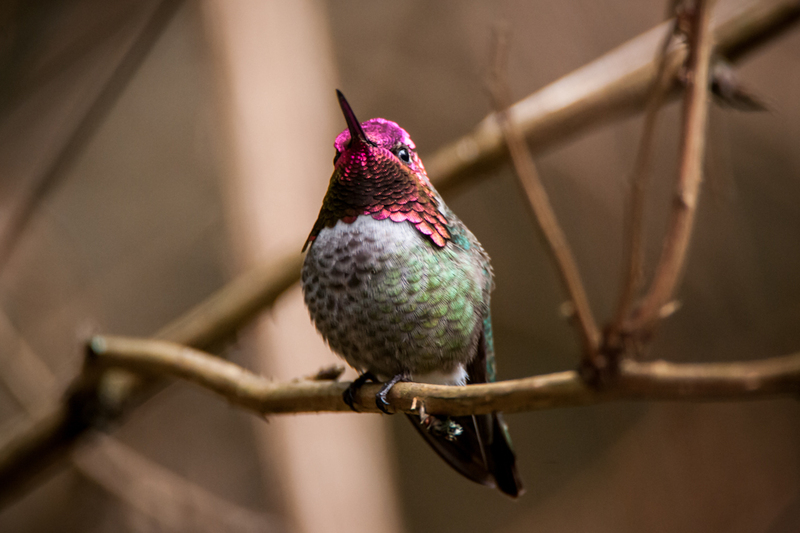 Did you know hummingbirds do not have any coloration or pigmentation in their gorget feathers (gorget feathers are those on their neck, chin and face)? Instead, a hummingbird’s gorget colors come from light refraction. David Sibley explains how this works on his website at Sibley Guides.. 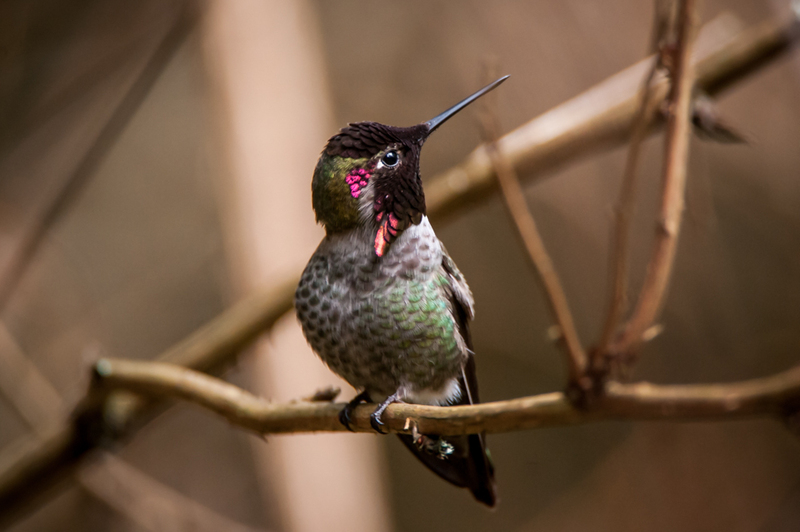 It took less than 1 second for this male Anna hummingbird’s gorget to flash pink from its deep brown color when it moved its head. Since the bird kept moving its head quite rapidly, the only way I could get the flashing pink color was to shoot a burst of photos. 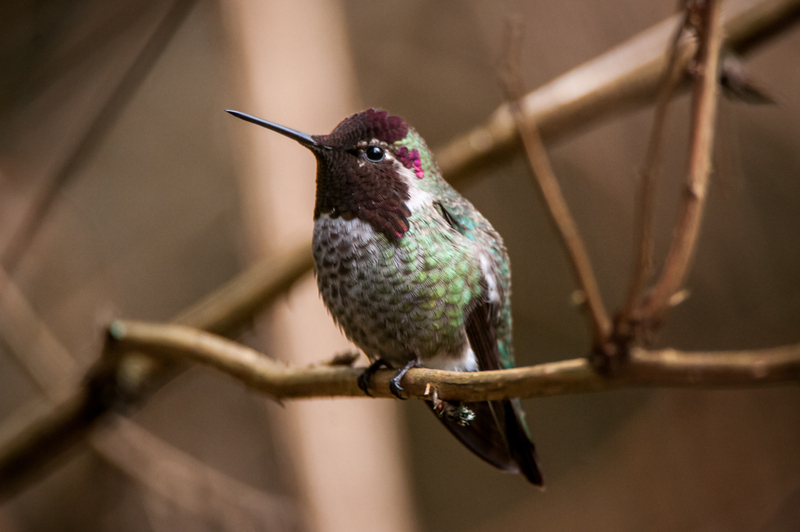 The brown feathers on the hummingbird’s throat do not contain any pigmentation. The brown feathers seem to miraculously turn bright, flashing, neon pink in less than a second! Just a few feathers reflect the light and produce pink colors when the bird moves its head again.